The Basic Information section is the best place to start when building your website. Enter the Website Name as you would like it to appear on the title tab above the address bar and in search engines. Enter the domain name of your website in the Website URL box. This is one of the steps towards getting your site live. Meta Tags help to ensure that your website appears in search engine results. These tags are not seen by the end user, but are instead found within the code of the website to ensure that your website is picked up when a potential customer or member is searching for your page. These tags can be entered into the Meta Tag field and should be one to three word phrases separated by a comma. The total number of words inserted should not exceed fifteen as many search engines will not read past this total. The second tab is Welcome Message, which allows you to add text to your homepage; Under Title you can add a header to the text. You can add the main body of text into the Rich Text Editor, which functions just as if you were using Microsoft Word or a similar text editor. The third tab is What's New. 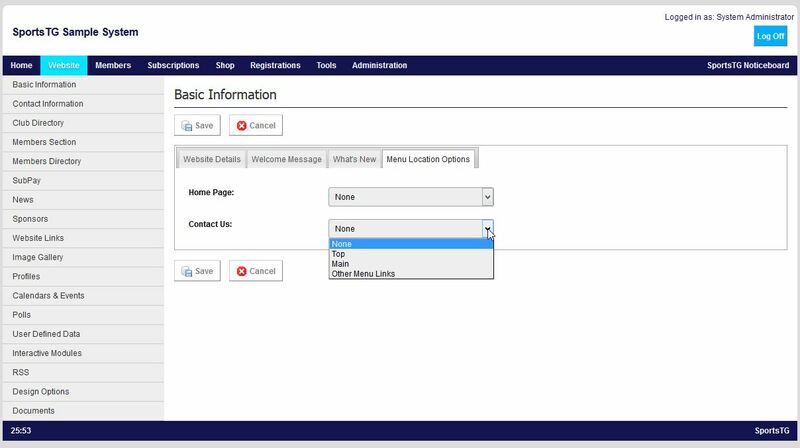 This creates a box in the top right corner that can be used to display any information that you want to stand out. Some examples of using this function might be important information, a major sponsor that wants to stand out or your latest memo. The final tab to edit is Menu Location Options. This allows you to add Home Page and Contact Us items to your menu bar. 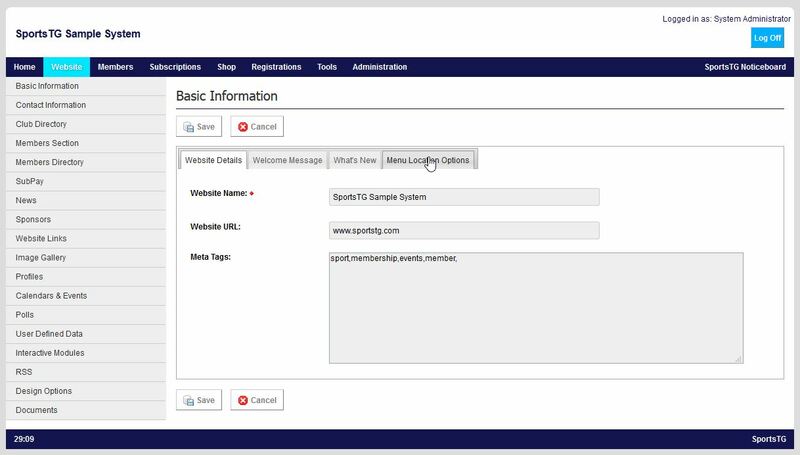 The details for the contact us form will be automatically pulled in from the details filled in on the Administration section of your console.